This little lady got her first haircut today. 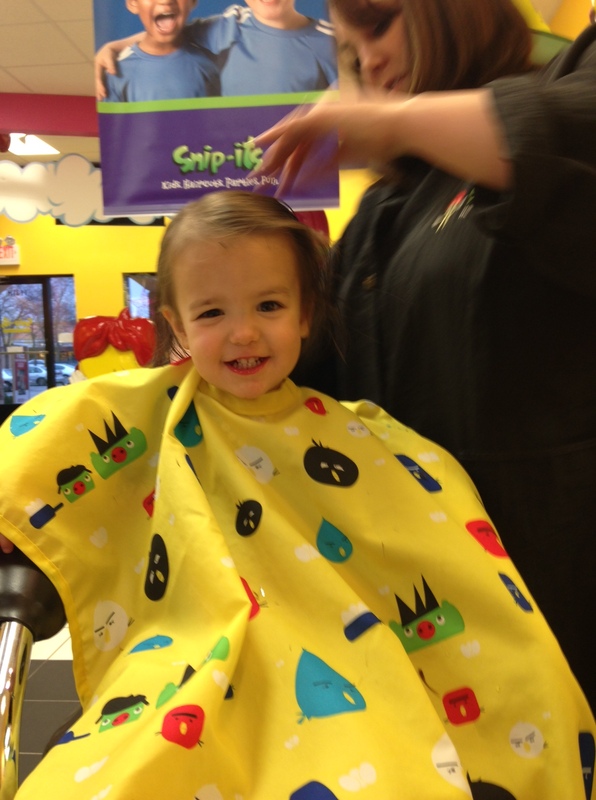 It was just a trim, so it doesn’t really help keep that mop out of her face but she sure was super cute in the chair. She was a total champ. This one got a pretty nice haircut and style too. Here’s a link to her first haircut back in the day.